As a self-proclaimed skincare junkie, I am always on the lookout for the newest anti-aging products. When it comes to my skin, I usually look for products that contain the latest advances in skincare ingredients rather than using all-natural formulas. I guess I always assumed that natural products will moisturize but aren't equipped to actually turn back the clock with proven ingredients like retinol and peptides. Then I found a new product from 100% Pure turned that thought process completely on its head. 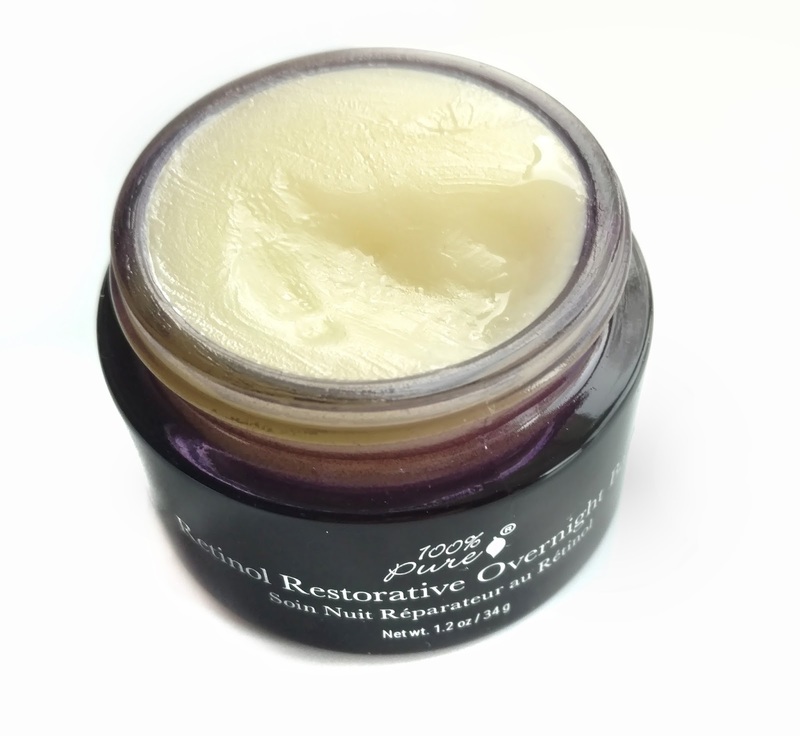 The Retinol Restorative Overnight Balm ($48) is a 100% natural formula that contains a whopping 2.5% retinol derived from carrots. In addition to Retinol (Vitamin A), Retinol Restorative Overnight Balm contains 2.5% Vitamin C and 5% Vitamin E which are antioxidants proven to protect your skin from further free radical damage. They also help to support collagen production so that your skin becomes more elastic and less lined. Add in rich oils like Avocado Butter, Sunflower Seed Oil, Shea Butter, and Olive Oil, and you have the perfect overnight anti-aging treatment...especially since every ingredient is easy to pronounce! There's been a lot of talk about jar packaging rendering skincare products ineffective and based on what I've researched, that's not always true. Studies have shown that Retinol breaks down in the presence of air and UV rays. I only use my retinol products at night so there are no UV rays in my home at that time (even if they did happen to come through the windows, they aren't at night). There was a study done (see that here) where a retinol/antioxidant combo was exposed to light and air and over 4 hours of sitting out, the retinol went from 100% strength to 91.5%. So basically, that would mean that if I left my jar of retinol cream out on the counter with the lid off for 4 hours, it would lose less than 10% of its efficacy. I would estimate that my jar is open for about 30 seconds (and that's being generous) at a time while I scoop out some product. That would mean that I would need to use it 480 times before the retinol will break down to the 4 hour mark. At the end of the day, my main concern with jar packaging is the introduction of bacteria from using my fingers so I usually use a clean Q-Tip to scoop jar products out. I also want to mention that 100% Pure has patented a stability process for their retinol and Vitamins which further ensures that they stay potent as long as you're using the product. 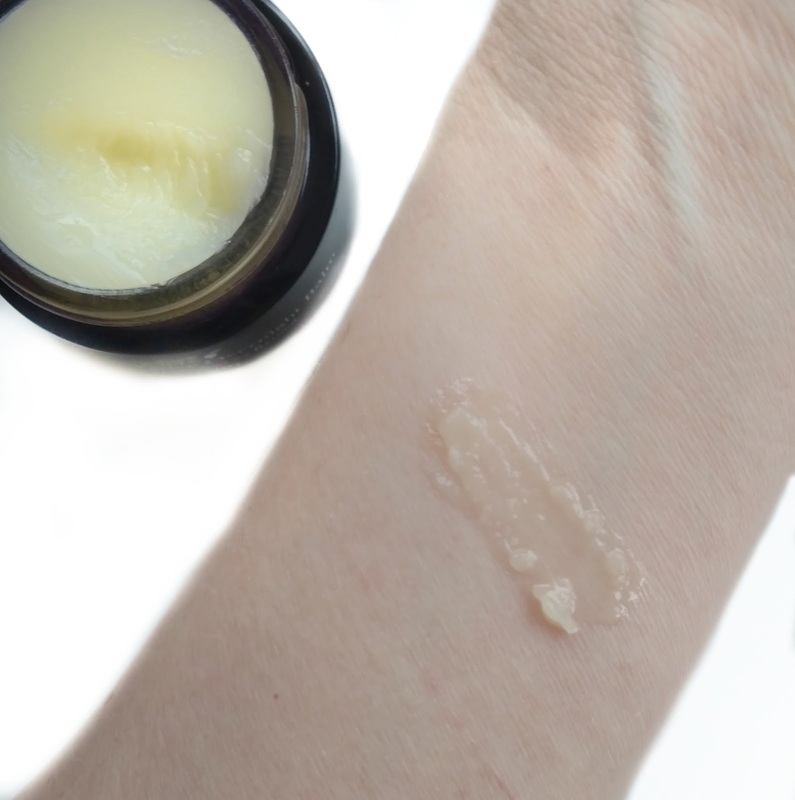 This balm has a butter-like texture that melts into an oil on contact with your skin. It has a mild Jasmine scent from the essential oil, which I find to be very calming and soothing at bedtime. I usually warm a small scoop of the balm between my fingers and press it into my skin after cleansing and toning. It does take a few minutes to really sink in, but I don't find it to be overly greasy on my dry skin. In the morning, my skin has a super soft, velvety feel as if I had used a rich, nourishing sleeping cream. I have used other retinol products in the past that left my skin feeling dry, irritated, and peeling but I've been using this one every night for 3 weeks now, and I haven't experienced any negative side effects at all. Even though 2.5% is a pretty high percentage when it comes to retinol (I've had side effects from way less), I'm guessing that the ultra-nourishing oils and butters act as a buffer to help cushion your skin from the potency of the retinol. While it's too soon to say if I've had any fine line reduction, I have noticed that my skin looks brighter and smoother, which is one of the other effects retinol can have on your skin. It's supposed to help shed dead skin cells on the surface and also clean out your pores, so it definitely seems to be doing its job so far! 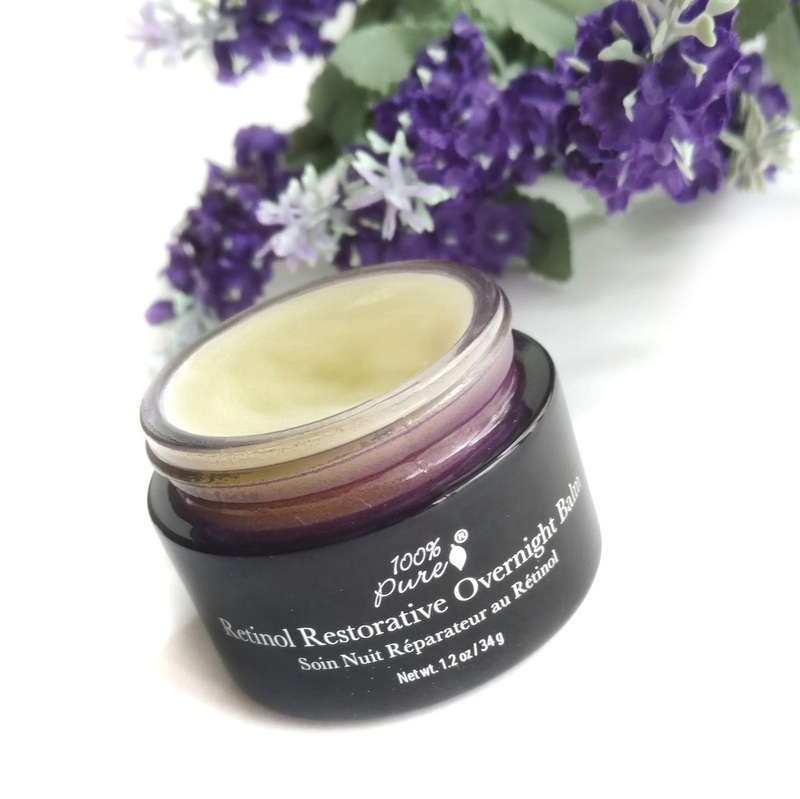 Overall, if you're looking for an all-natural night treatment that actually contains a proven anti-aging ingredient (retinol), you may want to give the Retinol Restorative Overnight Balm a try! It's been really great giving my skin a break from all the chemicals for the past few weeks without losing the momentum I've been gaining from using retinol products at night. That's not to say I'll never use other products again, but I will continue to use this one, even if it's only a couple of times a week to let my skin detox a bit. Available now at 100PercentPure.com (if it doesn't work for you, they have a 30-day return policy, even if the product has been used and the return shipping is free!). I think the whole thing about jar packaging being ineffective was started by Paula Begoun but I don't always listen to what she says. 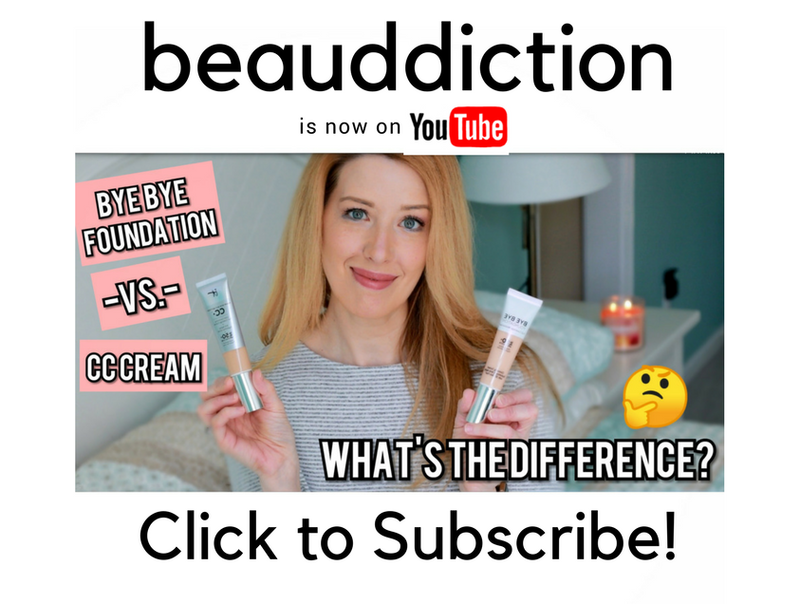 Her skincare line is great don't get me wrong but she often talks negatively about other brands and makes it sound like hers is the only one that's right. Thank you for providing the research on the topic. Most bloggers don't bother to get that in-depth. I will put this on my list of skincare to try. I just wish they were sold at Sephora since the sale is coming up!